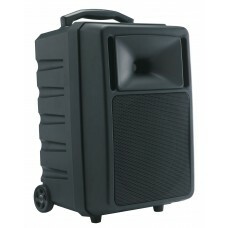 60W battery BT speaker with FM - IPX4 Take it everywhere! Weatherproof, super-light than.. 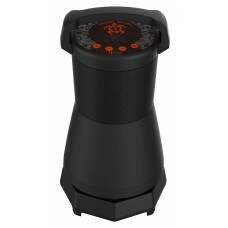 Outdoor portable speaker Set your music free Share 360° music anywhere you go. Bora Bora i..
CD/UB/SD Bluetooth® module CD/USB/SD and sound system	Reads CDs, USB keys and SD cards ..
Cover for speaker CR12ACOMBO 2 side accessories storage compartments Back opening giving .. 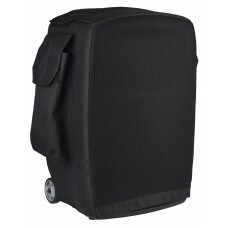 Protective cover for CROSSER systems	• Use the speaker within its cover • Compatible with t.. 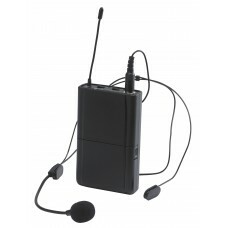 Protective cover for SPRINTER systems	• Use the speaker within its cover • Compatible with ..
Audiophony CR-12AHEADset - Optional UHF bodypack transmitter and headband microphone. Optional UHF bodypack transmitter and headband microphone. Can replace the CR12A-COMBO handheld ..
120 W portable speaker with Bluetooth®, USB player and 1 UHF microphone An adaptive portable sou..
Battery-operated self-powered system An off-road system The CR12A-combo is a super-powerf..
12" 250W portable speaker Bluetooth® compatible, with a USB player and 2 UHF microphone In..
Transmitter + headband microphone for CR80A-COMBO	Compatible with CR80A-COMBO portable soun..
180 Watts self-powered system No-option version The CROSSER-One version features a whole ..
180 Watts self-powered system - Built-in CD/MP3/USB/SD player and UHF microphones Best-seller v..
Handheld UHF microphone emitter Handheld UHF microphone and transmitter for a RECEPT-MOD16 rece..
Headband microphone Pocket UHF transmitter UHF transmitter and headband microphone for a RECEPT-..
50 Watts self-powered system with built-in USB reader and UHF microphone Heard loud and clear e..
Audiophony JOGGER60 - 60 Watts 2-way self-powered system with built-in USB/SD reader. 60 Watts 2-way self-powered system with built-in USB/SD reader. 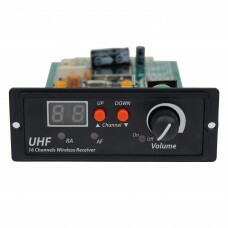 Supplied with UHF and wired micr.. Extra 260 mA battery	The JOGGER systems are supplied with their own battery, but this extra..
Charger for 260 mA batteries	The JOGGER systems feature an AC adapter, but the LTPOW charge.. 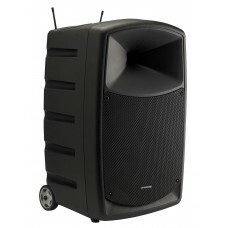 Passive 180 Watts speaker	1.5 driver and 10 loudspeaker The PASSCROSS speaker allows yo.. 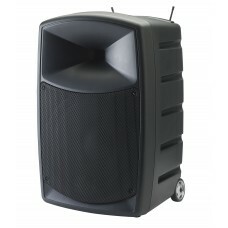 Passive 120W speaker 10 loudspeaker and 1 driver The PASSSPRINT speaker allows you to ad..
Slot-in UHF receiver module UHF receiver for a EMET-HAND or EMET-HEAD transmitter	• Slot.. Cassette player and recorder	• Logic control deck Player and recorder with auto-reverse • P..
120 Watts self-powered system No-option version The SPRINTER-One version features a whole..
120 Watts self-powered system - Built-in CD/MP3/USB/SD player and UHF microphones Best-seller v..
USB player Double slot USB reader	• Play/Pause/Skip/Eq/Repeat/Stop • Compatible with MP3..